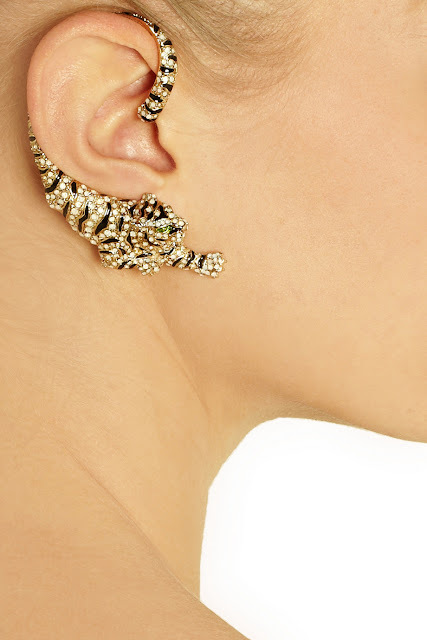 Last fall, I got myself a quick fix on the ear cuff trend from H&M (posted here). 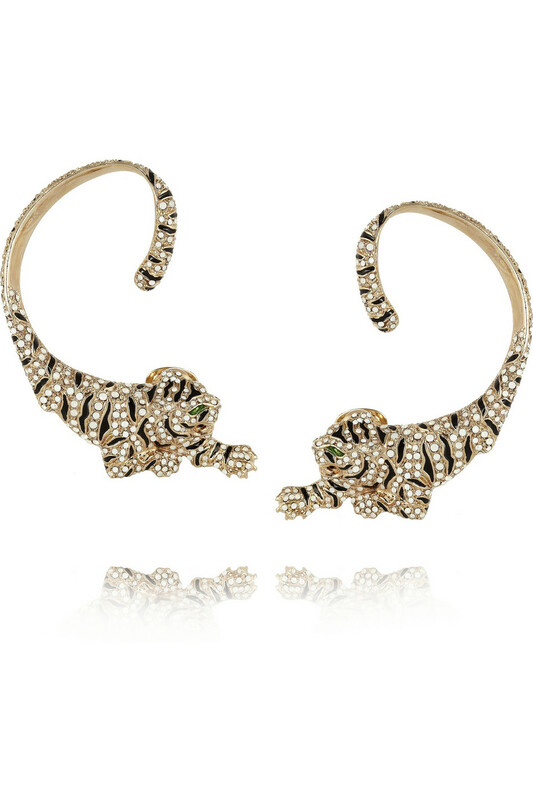 Now, I think I'm ready to graduate to a nicer one now...as in the new Roberto Cavalli gold-plated Swarovski crystal cuff-style tiger earrings!!! Aren't those AMAZING?!? Surely they are because Net-a-Porter just received them and they are already sold out! Oh...and look how stunning are the tiger necklace (I actually prefer the black & silver one) and cuffs! My Milkshake is Better than Yours!